I have an MFA in Writing for Children and Young Adults from Vermont College. My first children's novel, Rosa, Sola was published by Candlewick Press in 2005. It received many lovely accolades, including being named to Booklist’s “Top 10 First Novels for Youth: 2006.” (To read more about the novel, see my website.) 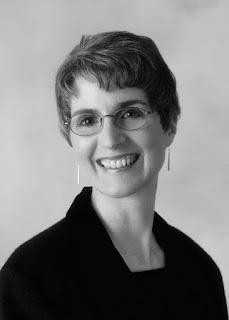 Other children's credits include a humorous short story in the middle-grade anthology, I Fooled You: Ten Stories of Tricks, Jokes, and Switcheroos (Candlewick Press), edited by Johanna Hurwitz, and poems in the anthologies Chicken Soup for the Soul: Teens Talk High School and And the Crowd Goes Wild! A Global Gathering of Sports Poems. Before I became interested in writing for children, I worked as a freelance journalist. My articles and essays have appeared in the Chicago Tribune and several magazines, including Catholic Parent and Writer’s Digest. My recent credits for adults include articles in multiple editions of the annual Children’s Writer’s and Illustrator’s Market (Writer's Digest Books). I currently teach writing classes for adults and children. I also founded www.TeachingAuthors.com, a blog of writing and teaching tips by six children’s authors who are writing teachers. So, what inspired me to write a biography about an 18th-century mathematician? Well, my undergraduate degree is in Mathematics and Computer Science. I'm also the daughter of Italian immigrants and have been to Italy several times. Yet I had never heard of Maria Gaetana Agnesi until I came across her name in an article about little-known women of note. I found her story fascinating. I believe a biography of this amazing woman would appeal to young readers, and especially to girls interested in math or science. The book would have obvious curriculum tie-ins to women’s history, mathematics, and science. While researching Maria's story, I came across many facts that I couldn't fit into a picture book biography, as well as a great deal of misinformation about Maria. That's why I've set up this website: to separate the facts from the myths. I hope you'll find the information here interesting and helpful. If you have questions that you don't want to post in the comments on the blog page, you can contact me through my website.